'ARRIVAL' could be playing near you! Keep an eye on this spot for updates on the latest festivals and events where it will be playing. Incredibly excited to announce that Arrival will finally be having it's Los Angeles premiere at the prestigious Los Angeles Asian Pacific Film Festival We're so honored to be able to show the film once again in a space that showcases API film and directors! Can't make your way to Amsterdam this month? Then hop on over to Poland on March 21st! 'Arrival' is thrilled to be showing as part of the New Queer Visions Program at the Short Waves Festival in Poznan, Poland! YAY we're still not done! YOU THOUGHT WE WERE. BUT WE'RE NOT. We are proud to announce that we will be screening at Roze Filmdagen in Amsterdam, baby!! 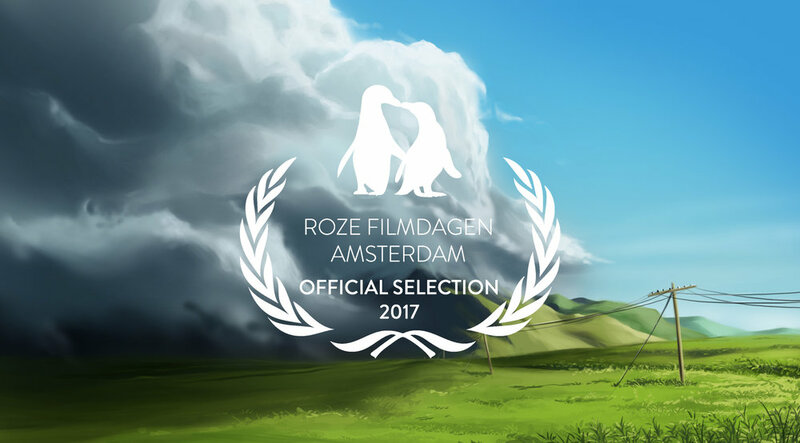 Roze Filmdagen is the longest running and largest LGBTQ film festival in the Netherlands- we're so grateful to be given a chance to expand our film's reach. 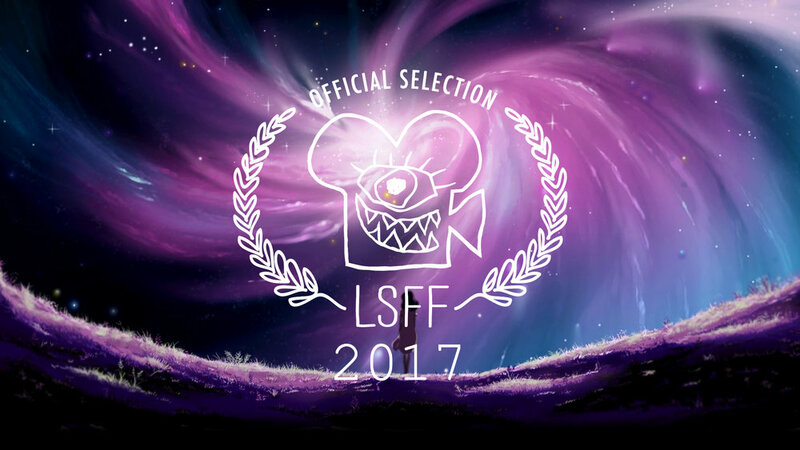 SO BEYOND HONORED to be selected into the London Short Film Festival 2017! LSFF is one of the biggest showcases of independent cinema in the UK and I still kind of can't believe we're a part of their official selection! What a great way to kick off the new year! The Indianapolis LGBT Film Festival is a "non-profit, fund raising event for the Indiana Youth Group (IYG). IYG offers support and services for LGBTQ youth." We are so so so so honored to be able to screen with them, as we fully support anything that helps Queer youth around the world. "We're goin' ta SPAAAAAAIIIINNNNNN!!" (Said like Oprah) We can finally announce that 'Arrival' will be having it's international premiere at the prestigious LesGaiCineMad in Madrid, Spain! LesGaiCineMad is one of the biggest LGBTQ film festivals in Europe and is the largest among Spanish speaking countries! We are so excited to begin sharing our story with the rest of the world at such a platform and can't wait to get it out there! MILWAUKKEEEEEEEE: "The City of Festivals!" "The Brew City!" "The CREAM CITY!" "THE GERMAN ATHENS OF AMERICA!" "MIL-TOWN!" The Milwaukee Film Festival will be the next official stop on our festival tour!! Our slot is riddled with some AMAZING shorts and we are actually really surprised/honored/humbled to have been chosen among some of the standouts from other festivals this year. We are excited to announce that 'ARRIVAL' is officially a part of the Official Selection at the Austin Gay and Lesbian Film Festival.... officially! This is our first LGBTQ Festival and we're pretty stoked as it is one of the oldest queer focused film festivals in the US. Wooo!! HERE WE GOOOO! The Rhode Island International Film Festival is one of the top Film Festivals for international and short films and we're completely floored to be a part of it!!!! Thank you to everyone at RIFF for loving our film enough to include it in such a big event. YO! You can catch ARRIVAL at Opening Night of Animation Block Party here in NYC!! It is a FREE event! So no need to buy tickets or whatever, just bring ya beautiful face! Oh, and a blanket as it is an outdoor screening. Maybe bring some food too. And drinks. definitely bring drinks. We're off to @Palm Springs, babyyyyy! (Thought this beachy shot was a good fit to this announcement). We are incredibly honored to be a part of the Official Selection at the PALM SPRINGS INTERNATIONAL SHORT FEST! It's pretty insane to be accepted into such a prestigious festival but if you are in the Palm Springs area, please go check it out along with the other amazing films! WE HAVE OUR FIRST LAURELS! We are SO happy to announce that 'Arrival' will be having it's official World Premiere at the 2016 SEATTLE INTERNATIONAL FILM FESTIVAL!!!!!!! We are so so happy to be premiering at such a long running and well respected festival! Thanks everyone for your continued support- hopefully this won't be the last festival we get to tell you about!